If in settings/ navigation bar the "Contact button" is checked/enabled, you will see a contact line in the side-bar menu ( the hamburger menu ). This is for a user to send message to the admin, about the calendar. The message can be sent without the user needs to make a login. 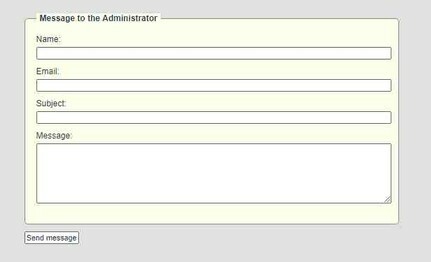 The user simply fills out the fields, and press "Send message". This way it can also be used for users that has problems with signing in.